Earlier, we discussed the real effects of a church leaving the denomination of The United Methodist Church. The harm is most felt by the regional churches whose apportionments would (likely) go up, and the Annual Conference whose ability to plant new churches and have a voice on doctrinal matters would be diminished. You can read it here . The article ended with a comment that all is not what it seems with the Mississippi Two. That comment is what we turn to today. Heather Hahn reports for UMNS that both The Orchard and Getwell Road UMCs in the Mississippi Annual Conference have taken congregational votes and are about to begin negotiations to leave. Despite the missional language of reaching people for Christ, what is being negotiated is very specific: the property, endowments, and debts of the local church, if it ceases to be United Methodist, revert to ownership by the Annual Conference. Everything. That’s the law…with a favorable past of being enforced, thanks to The Episcopal Church preceding us in dealing with schismatics for the last decade. Since both sides want to avoid a court battle and lawyer fees, they will hold negotiations to the terms of the disaffiliation, much like “who gets what” in a divorce. The local church, since it is their current members who paid for the building and its upkeep (Getwell is ~30 years old, and Orchard still has their founding pastor), will push for minimum settlement money to be paid, reasoning they bought it all already. The Annual Conference, since it was their investment of seed money and assigned pastors that started BOTH churches and the profits will be used for new church starts, will push for maximum payout since it ultimately owns everything anyway. These negotiations will take place after the efforts at reconciliation have failed, and it becomes clear they are headed towards a severing of connection. The interesting question is whether each church will do their negotiations separately or if they will go together as a block, since they are both in the same AC. I hope they are aware they are negotiating for more than their own Conference. Because what happens in Mississippi can start a flood throughout United Methodism if the Conference doesn’t uphold the Discipline and seek maximum payout. Back in 2015, we discussed a medium-sized congregation in Quarryville, Pennsylvania, that bought their $5m property for $100,000 from the Eastern Pennsylvania Conference. The reason for the low payout is that the congregation owed significant debt on their property and the AC wanted to avoid absorbing it and a protracted sale. So the payout was very favorable to the local church and very controversial: I cannot find out if the terms were renegotiated or not (let me know in the comments). They didn’t know it, but it was a portent of things to come. 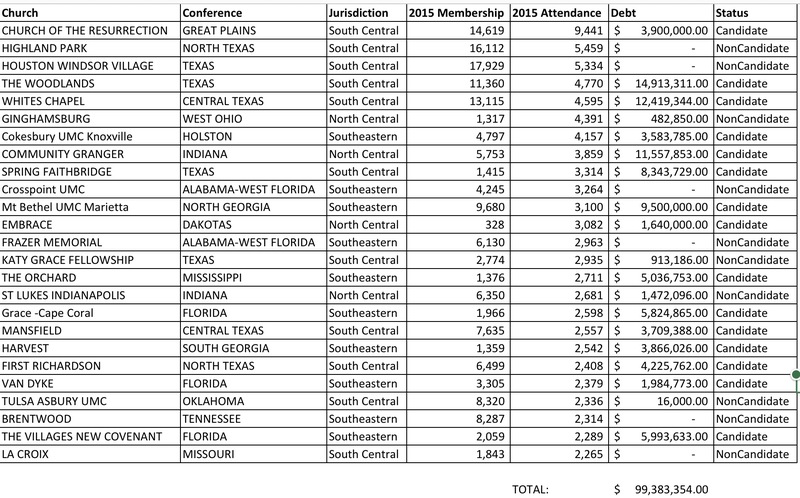 So the question is whether the two flagship churches in the MS conference can leverage their debt and their size for a favorable outcome on par with the Pennsylvania church which leveraged their debt on their $5m property for a mere $100k payout. …then the rest of The UMC had better gird their loins as the wave is coming. A friend ran the numbers on leveraging this type of debt (thanks friend!) and came up with a frightening worst case scenario: let’s imagine the 25 top churches by attendance decide to leverage their debt to leave The UMC. Arbitrarily, let’s say $1.5m of a church’s debt would be sufficient debt to cause favorable terms, AKA a “candidate” for using this type of leverage. If two churches can circumvent the trust clause with less than $10 million in debt, think of what could happen if more churches negotiated a departure in bulk and how much of our generations’ money, work, and honor leaves the church they entrusted it with. It can easily happen. Because several of those very churches are or are considering becoming part of precisely the type of group who could easily broker a bulk departure: the Wesleyan Covenant Association. The Wesleyan Covenant Association is a caucus group within Methodism that is organizing churches so they can perform block negotiations on their behalf for either advocating their values…or negotiating a split or exit from the denomination. Rev. Jeff Greenway in the UMNS article and the statement on the WCA website adamantly claim that the WCA had nothing to do with this action. I find it hard to believe that a member of their inner circle is not making them aware of what his church is doing, but let’s be charitable and accept that it is true they were not “consulted” in this matter. It doesn’t matter if they directed it or not. What matters is that they will be very invested in its outcome. The terms that two churches, negotiating as a block, with a single United Methodist conference, will help the WCA show what the exact risk is for its member churches when they start negotiations on behalf of their hundreds of churches very soon. We see more clearly that the WCA rhetoric of “unity in the meanwhile” merely enables a larger bulk negotiation in the future. Finally, The Orchard reports they became members of The WCA. Using 2015 numbers, the payment for a 1300 member church to join is about $2000. Since The Orchard didn’t pay their full apportionment in 2015 (both churches together were short $80,000), then we can say with accuracy that the The Orchard’s membership in The WCA was paid for with money that rightfully belonged to the rest of the denomination. Part of the problem with this rhetoric is that the churches in Mississippi have a decent case to walk away with their property and no settlement if they took it to court. The Episcopal Church is not a good comparison to the UMC because it structures itself far differently and gives less power to congregations. The Presbyterian Church (USA) on the other hand has a very similar trust clause. The courts in Mississippi (and about 20 other states) have ruled that the trust clause is not valid and that all property belongs to the local church with no interest from the denomination. I really hope we don’t go the way of the Episcopal Church and some Presbyteries (like an AC) of the Presbyterian Church (USA) and instead find a way to deal with these issues without litigation and without harsh words and broken relationships. Can you name the states and identify the cases? I am aware of only two states whose laws regarding trust clauses may supersede our trust clause itself, and then only in limited conditions: California and, if and only if a denomination-wide split can be asserted and duly defended, Virginia. If anything, our trust clause is on much firmer ground than either TEC (because dioceses still precede the General Convention, while for us Annual Conferences are subsidiary creatures of the General Conference) and PCUSA (because the nature of their polity re:property is more diffuse by Synod than the absolute legislative and administrative authority in our General Conference). In the PCUSA all legislative authority is held within the General Assembly. Synods are like jurisdictions but with far less power. The General Assembly of the PCUSA has passed a “trust clause” just like ours. The article I have attached shows a state by state approach to how this would be handled in court. Many courts will just simply refuse to allow the denomination to enforce the rules at all. Under rules of neutral principals most courts would rule in favor of the denomination with the idea that the “Trust” is not valid and unenforceable. Under Hierarchical principals the court would rule that the “Trust” is valid and enforceable. The attached link is from the Presbyterian equivalent of the WCA, although I totally disagree with their theology and actions they actually present a pretty good legal document. In most cases the UMC would have the exact same outcome. What if the Annual Conference itself benefits from setting a precedent that is favorable for a mass exodus? The assumption that the Annual Conference has the UMC in mind while negotiating with congregations who may have the WCA in mind may not hold up in conferences like Mississippi where WCA is such a palatable alternative. You say that you want exiting churches to be hurt financially and that the conference should enforce the discipline. Did it occur to you that if the UMC hierarchy had been enforcing the discipline for years that these churches may not be wanting to leave? It did. I dismissed the concept knowing that we have churches that leave every year, and if it wasn’t LGBTQ lightning rod, it would be something else. The “leave” proposition doesn’t even begin to address pension liabilities for annual conferences. Less so for these new churches that seem not to feel much connection to the Connection in that they’re already not paying their apportionments–but if the WCA attracts a flood negotiations to leave, it’s not just property debt they leave behind. Pension and health liabilities are the bulk of my Annual Conference’s expenses (Virginia)… I hope that this kind of exit, a preemption of the work of the Commission, doesn’t become a convenient way to effectively “restructure” pension obligations. Meredith, this is an important comment. But Mississippi AC- as some other conferences have in the SEJ- has moved to a direct billing system for salary, health care, and pension. Thus, the burden of payment has moved from the conference to the local church/charge. I believe there are a combined 3 ordained elders between Getwell Road and the Orchard, and thus there is small “burden” of pension and health care for clergy to begin with (I would dare say we would not want to find out the current low levels of compensation, or levels of health care and pension provided by GR or the Orchard to their lay staff). 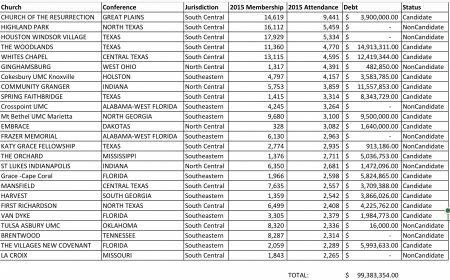 No doubt that this would hurt other conferences much more drastically if they did not have direct billing, but in Mississippi the direct financial liability shifted ten years ago. Having lived through the unification process and having seen the results for those who do not toe the line I for one am disheartened. When it all comes out it really is about dollars and cents. There is little if any concern to show the Love of Jesus towards one another. What ever happened to the Apostolic command not to go to court against one another and that it was better to take a monetary loss than do demonstrate hate before the world. All that “Rev.” Smith is concerned about is how much money it will cost not how much damage that it will do to not just the reputation of the church but the collateral damage it will do to those who are members of those churches. As one who witnessed the unloving methodology of the church when it came to property as a youth I can only weep for the members. Perhaps the church should act as the church and not a corporation, though I understand it is. 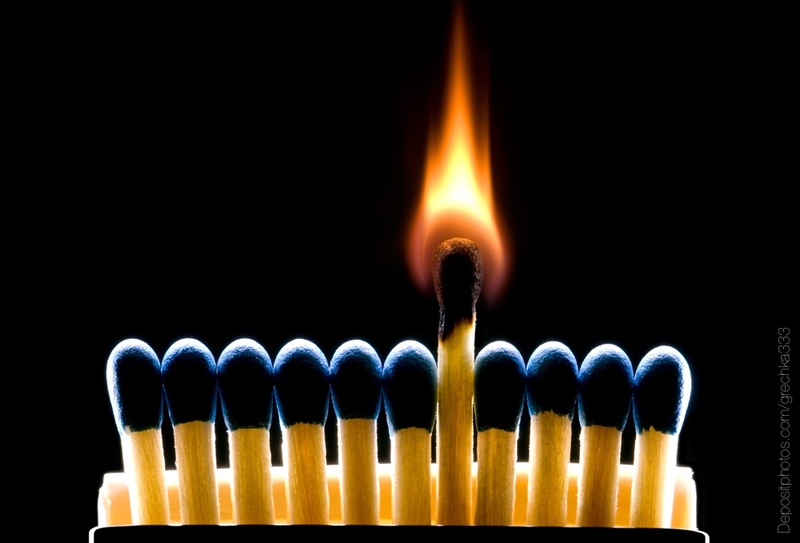 But if rather than following the other majors in their methodology the UMC adopted a generous spirit of love we might just see a movement of God in the church. If only the leaders of the church would exercise the faith that they so easily speak of to their congregations. Hi John, thanks for the air quotes on my title. Helps me know to stop reading and pass this comment by. Blessings. The quotes were a mistake. the pain that I still feel from watching this same thing happen before is not. You preach about about love and reference “Rev” Smith with quotations. Interesting. “Rev.” Smith is an “Ordained Elder” in the “United Methodist Church.” I’m “confused” as to how he doesn’t meet “your” criteria for being a “Rev.” “You” don’t have to explain yourself though. “Rev” “Smith” is is a gracious soul and probably does not spend his “time” “worrying” about where all these “quotations” are coming from. Olivito’s election broke our connection. Unless Oliveto directly does $10m of harm to a single conference, then you are comparing apples and oranges. Then Olivito is the apple. Everything else is the orange, but that’s what finally did it. Congratulations. Breaking a connection with 21Billion in the pension fund alone. That’s the apple. The Orchard Tupelo is just a little orange. A faithful, productive, effective orange – but only an orange. I guess the WJ is a lime or persimmon or something, but Olivito’s election finically broke the connection. I find it funny you tell the AC to uphold the Discipline. If all who pledged to uphold the Discipline had done so, these two churches would not be leaving. And the age of Trump has what to do with what again? The WJ and Oliveto have broken our connection. Stephen Walters: I find it funny you tell the AC to uphold the Discipline. If all who pledged to uphold the Discipline had done so, these two churches would not be leaving. My thoughts exactly. Makes about as much sense as cop haters who call the cops when their home is burglarized. A great deal of financial damage is currently being done in the Mountain Sky Area and may just hit $10m. You have done some interesting writing this week, Jeremy. I serve on the WCA Council and can confirm we learned about the two churches in Mississippi in the same way and at the same time everyone else did. Speaking for myself, the last thing WCA wants is for churches to start individually exiting the UMC. Everyone needs to stay on the bus and we need to see this thing through together. WCA’s negotiating power reduces with each evangelical church that leaves. I serve a high-debt WCA member church and we are staying put and praying while the Commission does its work. Can you elaborate on what you mean by negotiating power? What type of negotiations are you talking about? Can you put your reply on facebook as well? I wonder what Bill McAlilly thinks of all of this. Yeah Getwell was his church plant. Too bad. Yep, my family was part of that plant when I was a child–remained members until I was in college. I remember saving coins to put in the building fund. It doesn’t matter what Bill thinks now. His time was thirty years ago. If you want to blame anyone for the leadership, blame the AC for appointing leadership. Bearing false witness is a sin… The WCA is what is keeping the congregation I serve and a number of others near me IN the UMC and paying the apportionments. Otherwise church would be exiting. In my local school district alone (1/3 of one rural county)… there are four churches who were UMC and are now independent. Three kept their property. The 4th handed it and its debt off and moved to a school. You have no right to advocate for Discipline, you violated it terribly and maliciously and have caused massive damages all over my district and conference. Plus your own jurisdiction is begging for $ to pay pastors whose ministry has bern undermined by your selfishnesd. I apologize, but within the bounds of my conference I have seen churches instructed by the WCA to withhold apportionments to protest the election of Bishop Oliveto. I wish this were not true, but the same form letter was used by the churches taking this action. Josh Johnson, exactly whom are you accusing of violating the BoD “terribly and maliciously” and causing “massive damages all over [your] district and conference”? That’s a fairly reckless charge to make if you are directing it toward another UM clergyperson. Jeremy, if your church voted 99% to leave, I wouldn’t advocate a rigid adherence to the trust clause. How has the extended and costly litigation proven to be beneficial for the Episcopal Church? It would probably benefit all of us in the entire connection if we began talking about divorce settlements in a way that is workable saving pensions and negotiating properties in a way that shows that we can do this and still maintain our decency. I don’t trust that we have the ability to keep the simple rules: do no harm, do all the good, and stay in love with God remaining together. As a person who is divorced I speak from my experience. No divorce is easy, nor is it ideal but it it causes us to speak better, live better and stop doing all this harm to one another and to the our beloved church, then it might be necessary. I’m afraid I read the table before I read the explanation of it. From that uninformed perspective, it looked as though those marked as “candidate” were candidates for leaving. It appears from your explanation that *if* these “candidates” left, it would leave a large amount of debt. But I think it’s important to point out that just because the churches attract a large number of worshippers and have large debts doesn’t necessarily mean they are candidates for leaving. My visualization of unity within the United Methodist Church: Cats with their tails tied together!